One campaign says it’s unforgivable. Rep. Lou Barletta’s most recent, and likely final, ad criticizes a previous attack ad from Sen. Bob Casey over coverage of children with cancer and pre-existing conditions, while highlighting his grandson, Jordan’s current battle with cancer. 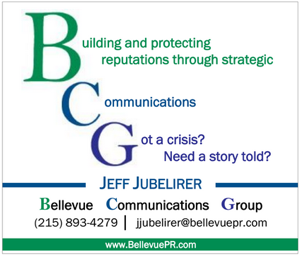 The ad goes on to explain how difficult of a time it has been for the Barletta family and states that Lou had privately told Casey about his grandsons cancer before the Democratic candidate released an ad detailing a Pennsylvania’ womans twin daughters battle with cancer and their gratitude that the pre-existing conditions were being covered, claiming Barletta would not protect them. 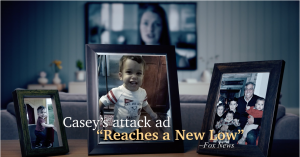 “The horror of what happened next is beyond words,” the woman in the ad says next explaining the Casey ad. The 1 minute long Barletta ad closes out by stating their opponents previous ad was unforgivable. In a Philadelphia Inquirer story detailing the Barletta campaign’s initial outrage over Casey’s ad, it details Barletta’s history of opposing and voting against the Affordable Care Act, which began mandating that those with pre-existing conditions could not be turned away for health insurance. In that same story, Barletta stated he has since supported GOP efforts to repeal the ACA, while still covering those with pre-existing conditions. The 30 second spot from Casey continues to pin Barletta for his vote to repeal the ACA and claims his GOP opponent is not running on his record. 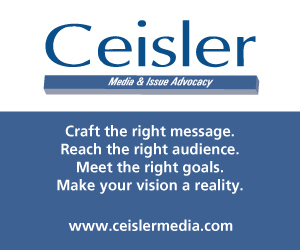 This story has been updated with the new ad from the Casey campaign. Barletta is and always has been a GOP puke. criticize lou all you want. but there is no there there with bob casey and never is or was. does anybody believe if this guy had any other last name than his would be a two term senator?on to win his third? of course not. and what will he do for next six years? never come home. no town halls. no legislation. he will continue to be a back bencher. just like the last 12 in senate and 8 years in harrisburg. this guy has done nothing, nothing. great legacy. hope d’s are proud. republicans should be embarrassed and ashamed. this was such a winnable seat. shame on party leadership. sure miss rob gleason. So nothing has happened in your life that has made you rethink your perspective. It is not what he attacked Lou on it is how he did it. Going after a guys voting record is all good, but you are told that is grandson is fighting for his life and you decide to run an ad saying he doesn’t care about children fighting for their life with cancer. That is about as low as it gets. Maybe Casey should have said that Barletta doesn’t care about any kids that aren’t related to him. No, using your grandson has a human shield against your awful, inhumane voting record is about as low as it gets, even for Barletta. This is truly despicable. This far behind and Barletta is stooping so low, and for what? It’s nauseating. If he wanted to protect children with pre-existing conditions, then he shouldn’t have voted to take away those protections literally dozens of times. He got elected in 2010 running on a platform of repealing the Affordable Care Act. Save that nonsense for Fox viewers. Casey has nothing to apologize for. It’s Lou with his terrible voting record and policies that negatively affect his grandson, if they were from a poor family. The voting record is what the criticism was directed at and nothing more. A candidates voting record in completely appropriate to criticize. End of story. If Barletta can’t equate the simple fact that his voting record would negatively affect his grandkid’s life then he is being intellectually dishonest and is typical for any politician. There is no outrage. And if something similar happened in my life, i would simply ask, how does the policy i voted for affect my family? Can he honestly answer that question without deflecting fake outrage? I’m proud to be casting my vote for BOB CASEY on the 6th! Haven’t been this excited to cast a vote since 2006! As for the trainwreck of a Gov race – I’d hate to vote all dem – but Wagner is such a waste that I’m starting to consider Wolf. Scott Wagner’s efforts are laughable– and are all the more laughable since Wolf is nothing too great. But Wagner has failed to reach out and make himself out to be the fiscally sensible one and anti corruption one. His wagon is hitched to Trump — not as bad as Barletta. But he’s a very lame excuse for an option against Wolf – and will make a mediocre gov like wolf waltz to easy victory! Lou is just arguing the unarguable. Casey can criticize his voting record and that is very separate from Lou’s personal life. Casey did not criticize Lou’s family. He criticized his record. I just don’t get how criticizing Lou’s voting record on healthcare is tantamount to criticizing his family. It makes no sense. Lou’s campaign is only rivaled by Scott Wagner for it’s complete failure in connecting with the voters and both Wagner and Lou are heading toward two of the biggest defeats in Pa political history. I amazed at how much of a piece of garbage Lou Barletta is. Worse than the worst. BTW – Casey did the right thing apologizing even though it wasn’t necessary. When you have a 15 point lead and are running against a moron, you don’t give him any ammunition. The ad was 100% true and not directed towards Barletta’s grandson. We all wish him well. The fact is (and it is a fact), Barletta voted countless times to remove the protections for those with pre-existing conditions. It is flat out disgusting that he would bring his Grandchild into the discussion. In 1 more week, he can go on to be hired by whatever far right wing whacko group that will have him. Good riddance. I have also taken note that the “Lou will win by 3” predictions here have stopped. I concur with your comment that it was LOU who exploited his grandson. Casey has been working with Stacie since 2009 on the issue of pre-existing conditions. LOU should be ashamed of this exploitation and owes Casey, his daughter, son-in-law and grandson an apology.